An accountant responsible for a string of scandals has claimed that the audit market is ‘broken’. Grant Thornton is demanding a major overhaul of the industry to reduce the power of its biggest rivals. But critics accused the company of lacking ‘humility’ over its own failings as it has been responsible for some of the profession’s biggest mistakes, which included work for Patisserie Valerie and BHS, both of which collapsed. In a letter to MPs on the Business Select Committee, who are investigating proposed accounting reforms, Grant Thornton said: ‘The FTSE 350 audit market and the actual audit product are both broken. Grant Thornton has been accused of failing to spot a £40million accounting scandal at cake maker Patisserie Valerie, where the former finance chief has been arrested on suspicion of fraud. The audit firm also advised would-be retail tycoon and three-times bankrupt Dominic Chappell when he bought BHS for £1 in a disastrous takeover three years ago. Chief executive Sacha Romanovitch quit in 2018 after a letter was sent to national newspapers – allegedly backed by 15 partners – accusing her of pursuing a ‘socialist agenda’. 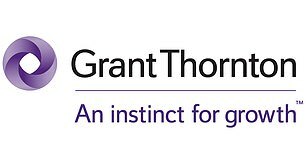 Grant Thornton admitted in its letter to MPs that it has sometimes fallen short of the standards required, but claimed it is focused on improving performance.